What began as another leadership vacancy at a school in the heart of Midtown reflects a deeper crisis, according to close stakeholders. 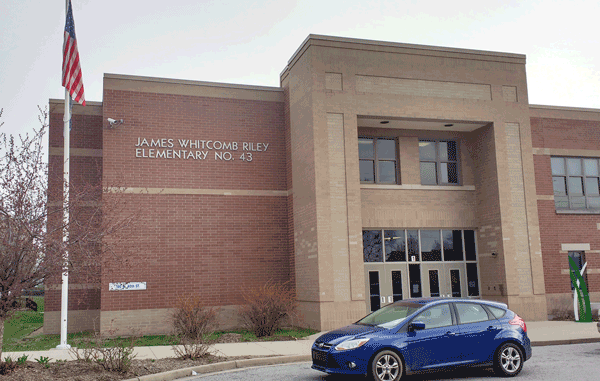 It’s déjà vu for parents, educators, and community supporters of James Whitcomb Riley School 43. 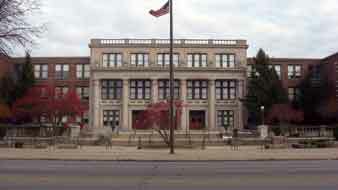 A succession of administrators and teachers have come and gone at the neighborhood Indianapolis Public School. 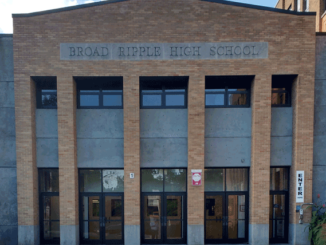 Its state rating has gone from an A to an F.
The recent and promising principal Bakari Posey left IPS for a positon in Lawrence Township in February. He lasted about two and a half years at the PreK–8 school that serves about 450 students. His immediate predecessor walked out after only three months on the job. Parents, teachers, and community are disappointed. They had faith in Posey, who slowed an exodus of teachers and focused on school climate and culture for a conducive learning environment. Great Places Education Committee and Butler-Tarkington Neighborhood leaders have met with IPS administrators, including interim superintendent Aleesia Johnson. The search committee for a new principal will include parents and community representatives. Stability is a priority for school stakeholders. At a public meeting Feb. 20 about the principal transition timeline, attendees described a school in crisis, but district employees say they have no means to address the urgency. 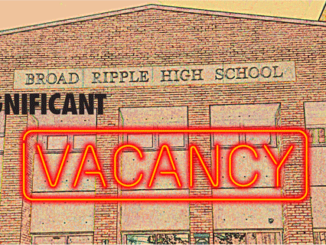 In a follow-up meeting March 7, IPS reported a filled teacher vacancy at School 43 as well as additions of an office assistant, student behavior specialist, and a parent involvement educator. IPS also hired four student behavior assistants from the MLK Center to work part-time in the school. Because it is a Transformation Zone school—one considered failing for multiple years—a number of district coaches and supervisors also stop in weekly to help enhance general instruction, Kardash explained. Former IPS commissioner Mary Ann Sullivan reported at a board meeting Feb. 28 that the school budget received an extra $285,000 this year for such district supports. Alex Moseman, an IPS hiring coordinator, said at the February meeting that a strong building leader is necessary for academic achievement and a good fit. He, Kardash, and assistant principal Ellison outlined the principal search process and introduced a seven-step “galley walk” to get community input to develop a job posting. They said the school’s goal is achievement growth more than proficiency, and invited attendees to note desirable candidate qualities focused on diversity and equity, strategic planning and execution, people and systems management, building relationships and networks, and instructional leadership. School 43 alumni and neighborhood leader Brenda Vance Paschal notes the school’s great legacy, pointing to several distinguished alumni, such as the late William Eugene McAnulty Jr., the first African American justice on the Kentucky Supreme Court; Harry Radliffe, the first African American bureau chief at CBS; and Dr. Alicia Monroe, provost and senior vice president at Baylor School of Medicine. Jim Grim is a member of the Great Places 2020/Butler-Tarkington Neighborhood Education Committee and the IPS Community Coalition as an advocate for parent and community engagement in public schools. He is director of university/community school partnerships in the Office of Community Engagement at IUPUI and has lived in Midtown for more than 30 years.